Bangalore became the land of opportunity for many people since the IT boom in the late 90s. But what was Bengaluru like earlier? A glimpse into the past, through this photo essay that captures three houses from the 40s, 60s and 70s. 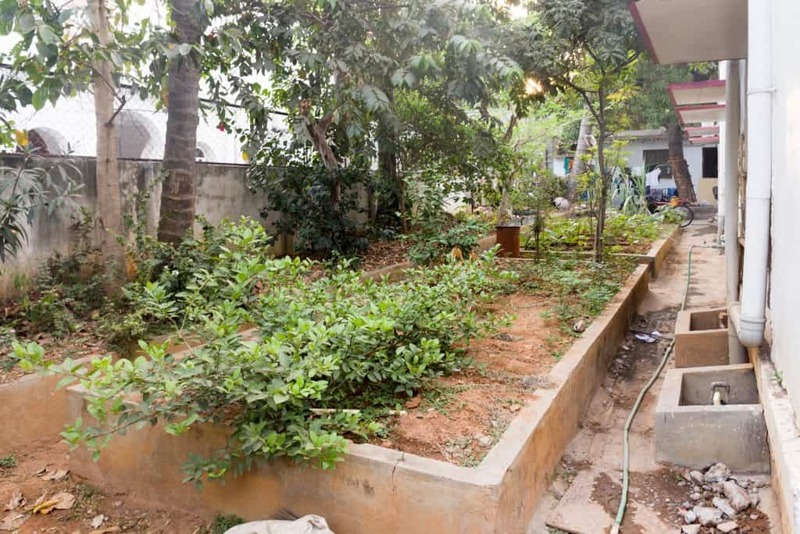 These three houses which are roughly 40, 50 and 70 years old, all located in south Bengaluru – two in Jayanagar and one in Basavanagudi. Both are planned neighbourhoods – Basavanagudi is one of the oldest planned areas of the city. It was proposed in 1898 as one of the extensions to the City or Pettah in order to resettle inhabitants to planned, hygienic areas, following a plague that resulted in large number of deaths in the city. Jayanagar was laid out in 1948 and for long was known as one of better designed neighbourhoods of South Asia. 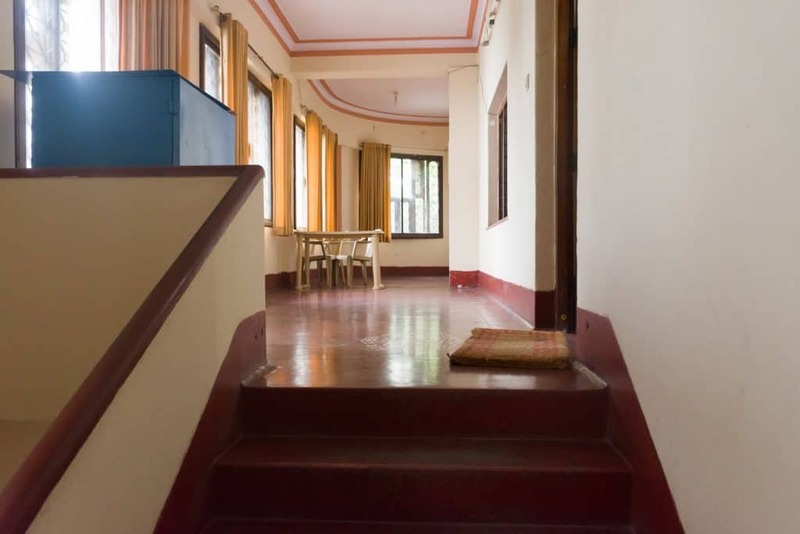 The first house is located in Jayanagar. 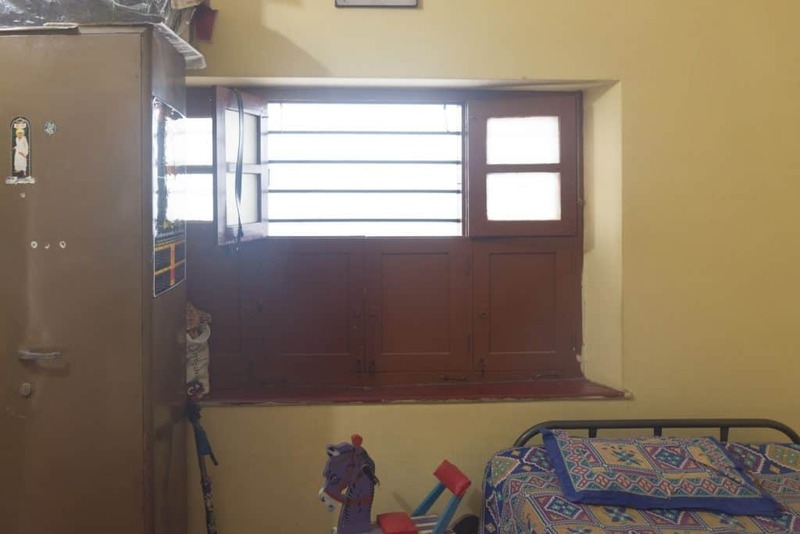 The owner had bought the land in 1956 from the City Improvement Trust Board (CITB which later evolved into the BDA) and constructed the house in the year 1963. 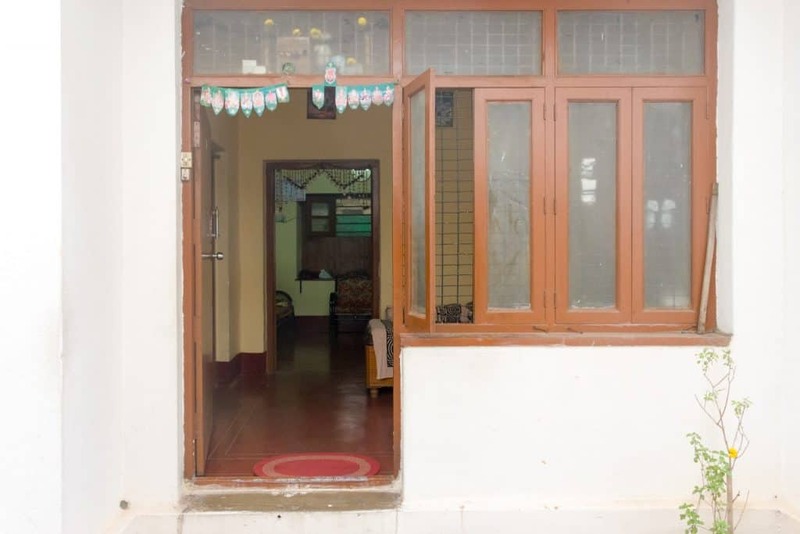 The house was initially constructed with huge verandahs on the ground and first floor, but these were enclosed in the year 1984 through the addition of the windows seen in the image below. 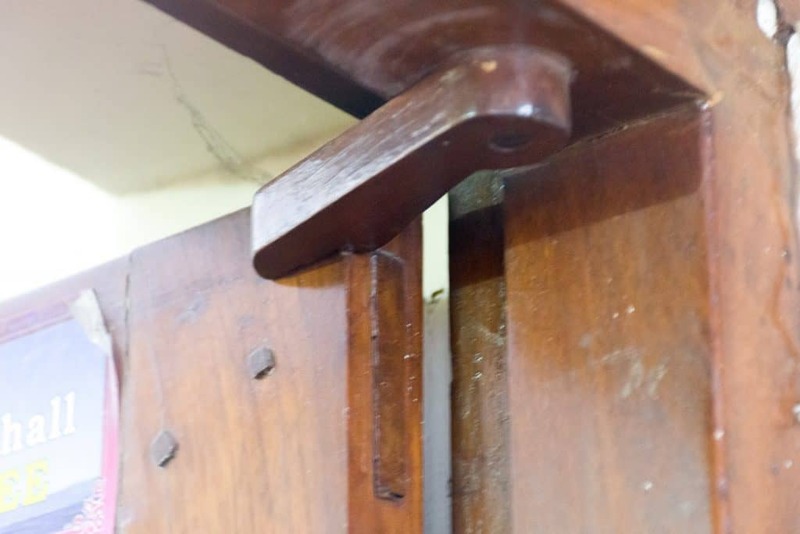 This is because the open verandah would cause flooding inside the house whenever it rained. Prior to this the verandahs, supported on circular pillars, just had masonry parapets all around it. 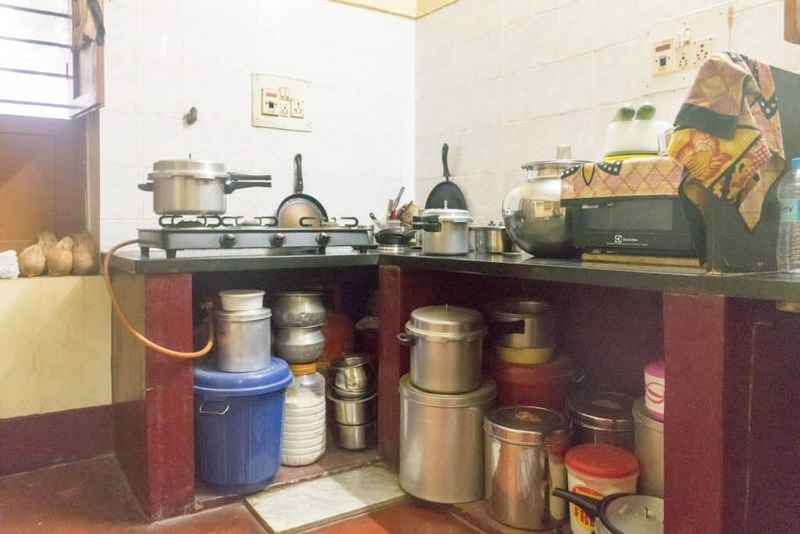 The house was used by the Survey of India from the late 60’s to the late 70’s. The survey office faced a lot of problems whenever it rained, as they had their survey / drafting tables laid out in the verandah. Front view of the house from the gate. A closer look at the first floor windows – as noted above these windows are a later addition. The layout of the house was dictated by regulations of the CITB which dictated that the garage had to be towards the right hand side of the house and the house had to be located in the middle of the plot. The walls of the house were constructed with bricks, lime and plaster. As you enter the property, and walk past the house, one can see a vegetable patch, which was used to grow beans, Ladies Finger and Brinjal. The vegetable patch used to grown the above mentioned vegetables. 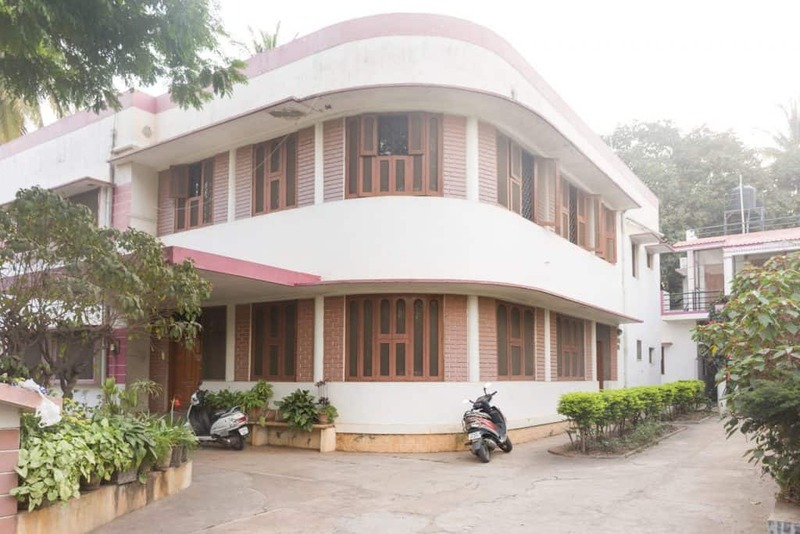 The house appears to be have been constructed in the Art Deco style as typified by its streamlined appearance, curved edges which enhance the streamlined look, masonry parapets and circular pillars, thin continuous chajjas that follow the building profile and through use of contrasting colours to highlight the edge of the chajja for example or the roof parapet. This style is generally believed to have originated in 1920s Paris before becoming a major movement in art and architecture from the 1930s to 1950s, mainly in Western Europe and America. It came rather late to India maybe around the 1950s. It was seen as a celebration of modernity, of the machine age. It typically presented itself in streamlined forms, was free from excessive ornamentation, used geometric shapes and motifs and emphasised craftsmanship. Where earlier this style was seen as a sort of ‘debased’ one that was neither focused on ornamentation nor purely functional lines of a building as represented by the Modern movement, it is currently enjoying a revival, particularly in furniture design and interiors, due to the attention to detail and execution. Use of contrasting colours as a design element was a common feature in the interiors too and not just the exterior. Notice the red oxide floor and red oxide finish to the handrail, which was fairly typical of the period. Also the use of contrasting bands to highlight the junction between the wall and ceiling. Such details are typical of Art Deco houses. However in the picture, the magenta colour is likely a later day change. 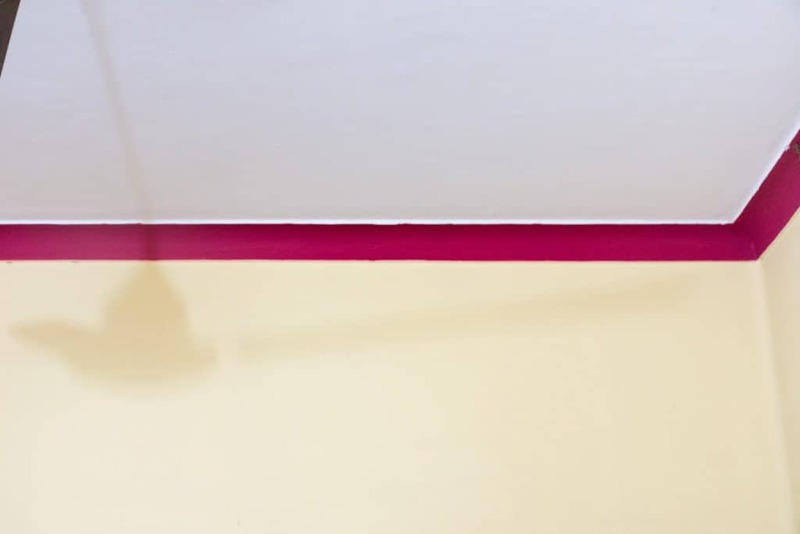 Interiors: A cornice band usually highlighted the ceiling and wall junction. 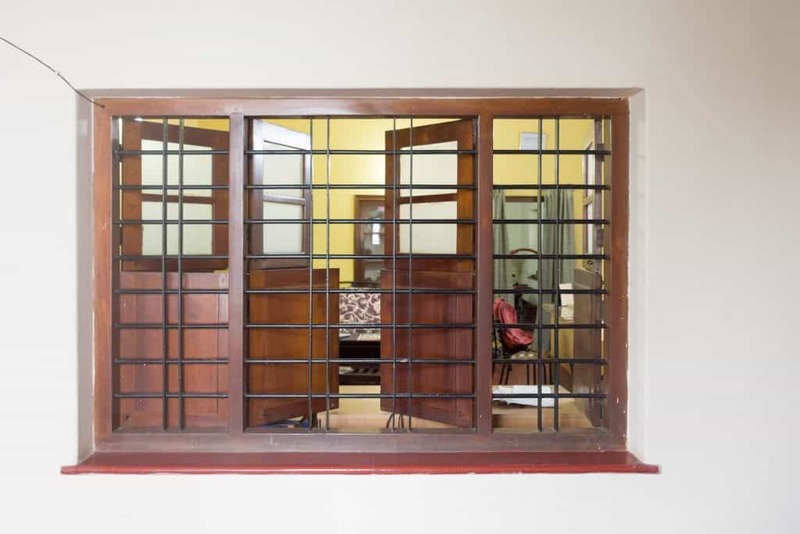 Openings: one of the windows – again typical of the style – sills (window base) defined using red oxide, simple geometric grills, well executed woodwork. 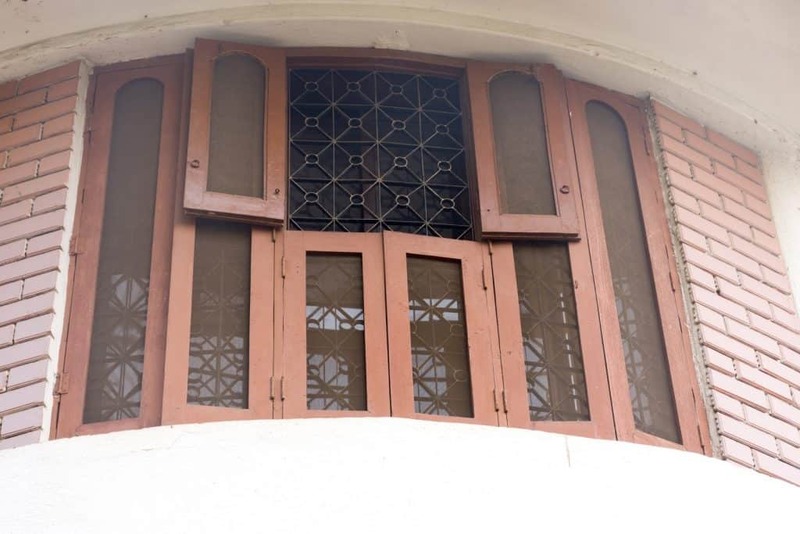 Openings: windows usually consisted of two shutters, the top half in glass and the bottom half in wood. This was a practical solution to regulate both light and ventilation. Notice the red oxide sill and wall thickness. 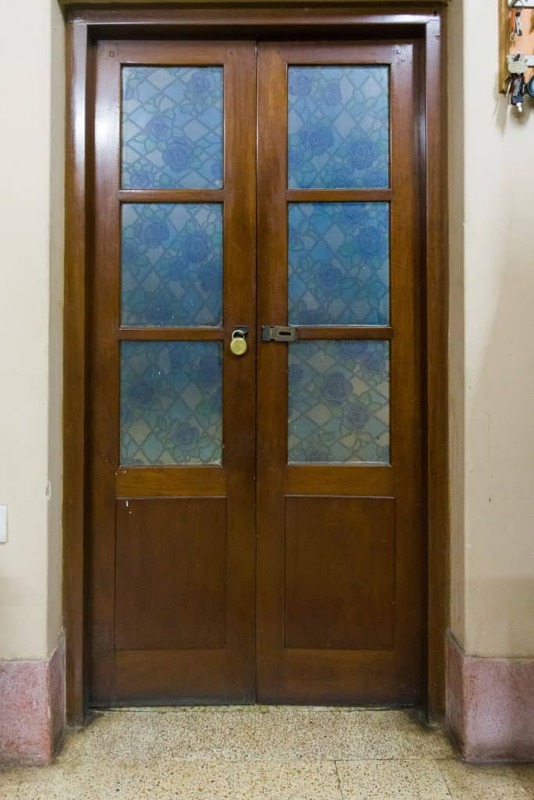 Openings: double leaved partly glass, partly wooden panel doors were a common feature. The etched glass seen in this house was a later addition. 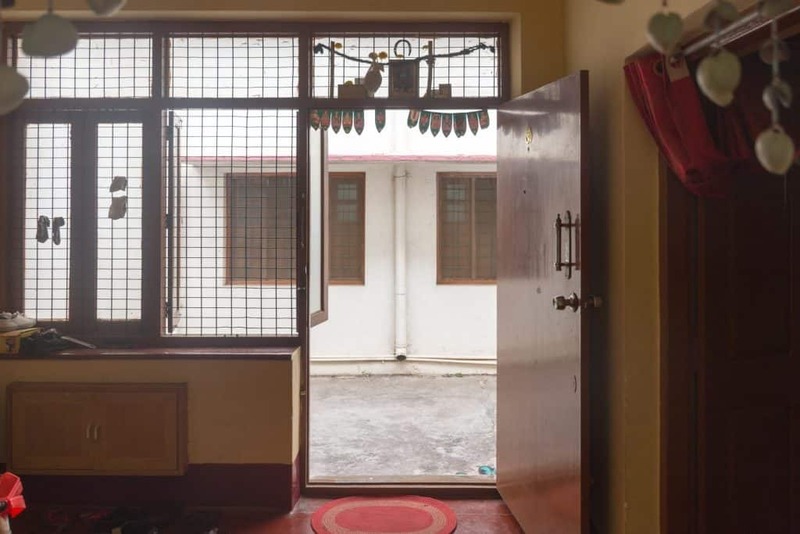 Notice the mosaic tiled flooring – common areas of such houses like the verandah, entrance bays, the hall (and not living room as it is called now) were generally finished in red oxide or mosaic. Bedrooms were finished in mosaic or red oxide to provide a contrast to semi-public and private spaces of the house. 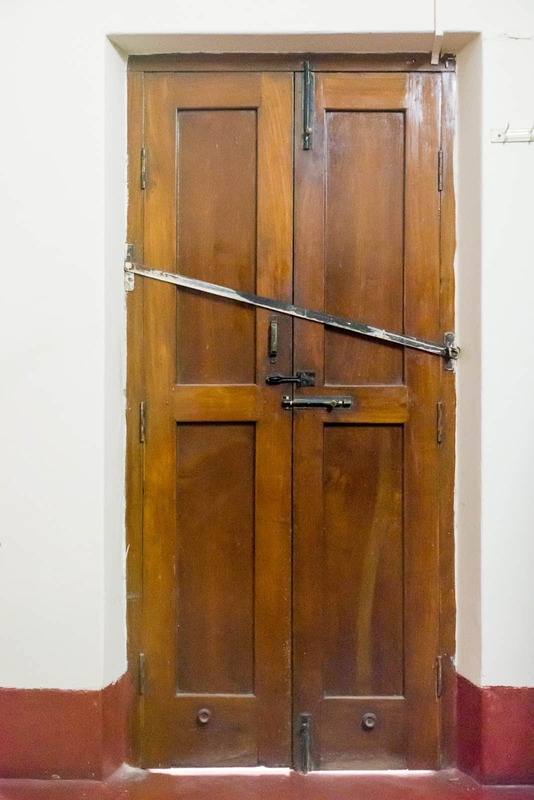 Back view of one of the doors – notice the iron safety bar, typical of traditional vernacular houses. Openings: A typical wooden door stop. 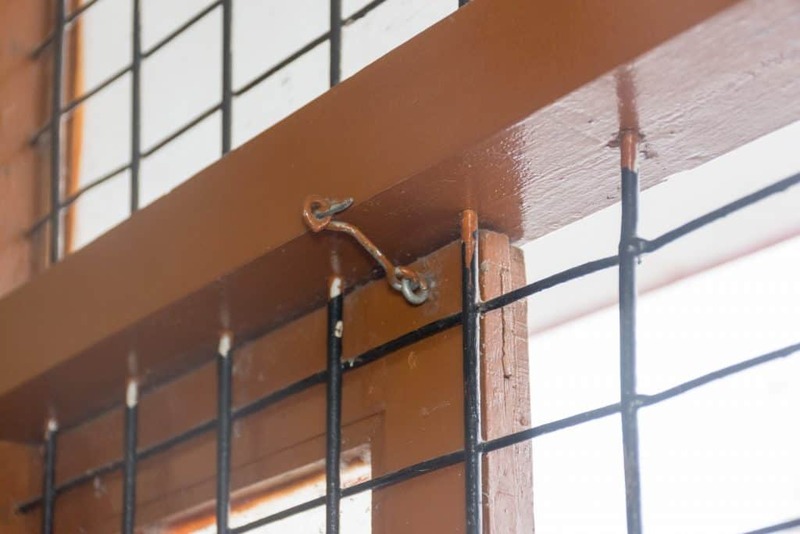 Openings: Hooks were used to keep windows closed, which have made way for Aluminium or Stainless steel bolts nowadays. 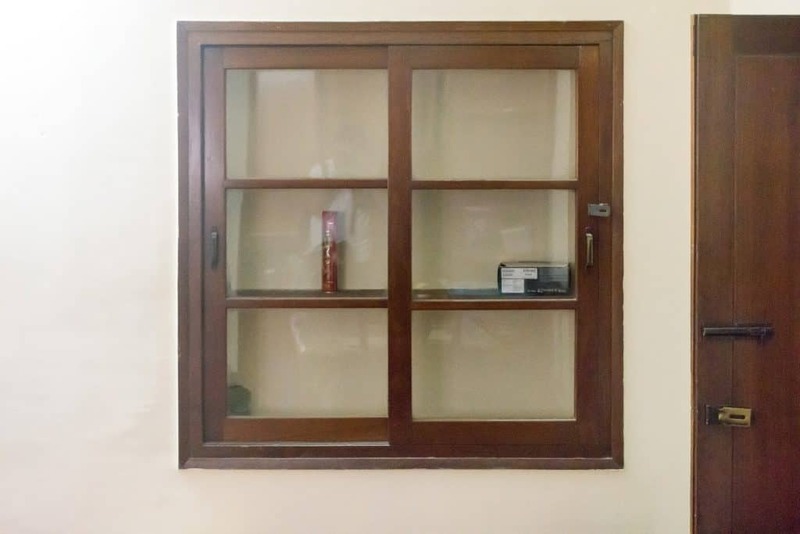 Built in furniture: A showcase, a typical feature of ‘middle-class’ homes of the period – used to display objects d’art and memorabilia. Before the construction of the main house was completed an out-house was built in 1961, located behind the main house. The owners recollect from their grandfather that the out-house was constructed for guests who would visit and stay over. The outhouse is similar to the main house with lime plaster walls, red oxide flooring etc. Front door view of the outhouse. Front door view from inside. The structure beyond is the main house. The kitchen: the wall tiles or dado are a recent addition. Kitchens typically had red oxide floors and short masonry walls supporting cudappa slab counters as seen above.